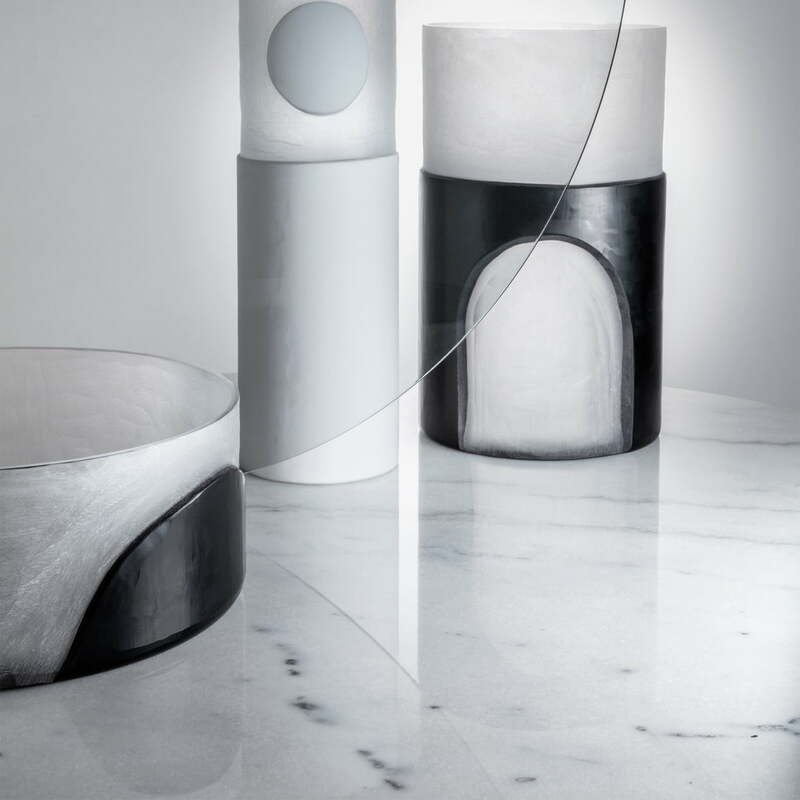 The Carved Vase by Tom Dixon is characterized by its elegant play of different shapes and structures. The vase is made of glass with a milky cut finish. A stone-like cover creates dimension and provides a second, also haptic level. Carved, mostly oval shapes either function as windows with a view of the underlying glass or are applied as an application. In the 2-piece set, the shapes complement each other perfectly, but the individual appearance also makes for an elegant eye-catcher. 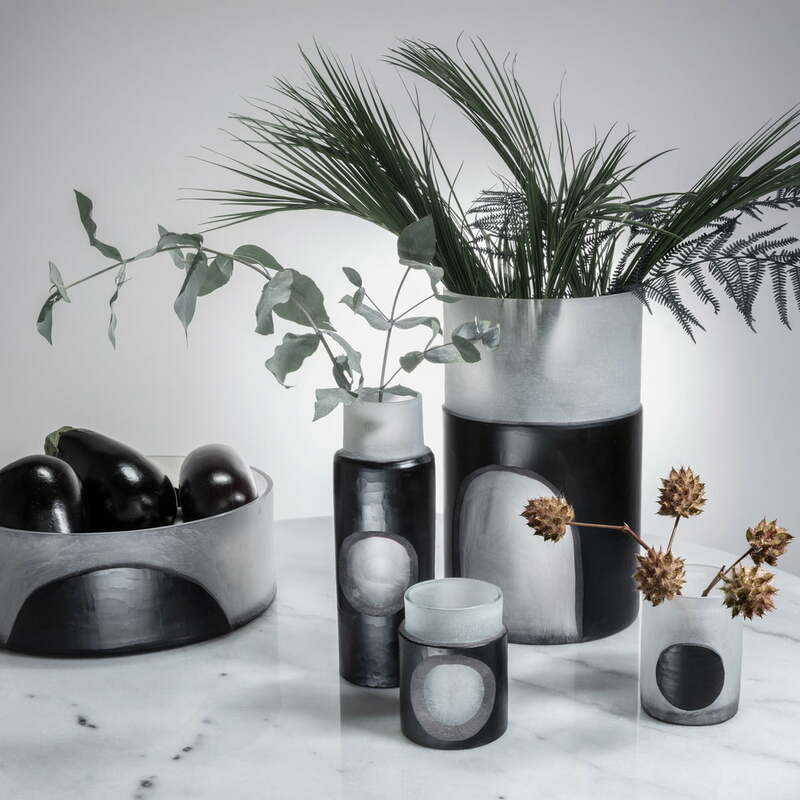 Lush bouquets of flowers, individual twigs or blossoms can be perfectly staged in Tom Dixon's Carved Vase. 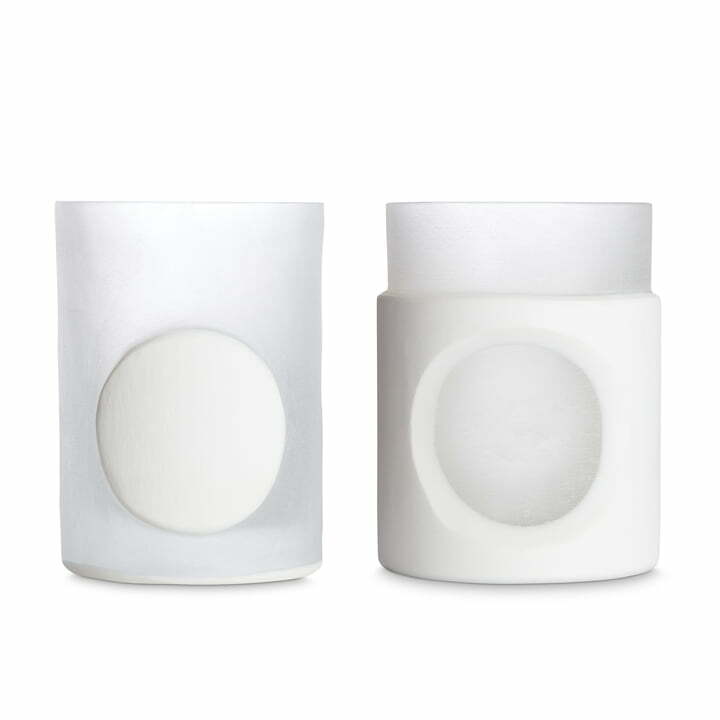 The vase is available in the colours black and white as well as individually and in a set. Carved vase by Tom Dixon in single view. In the 2-piece set, the forms of the vase complement each other perfectly and together form a harmonious ensemble. Carved vase by Tom Dixon in the ambience view. 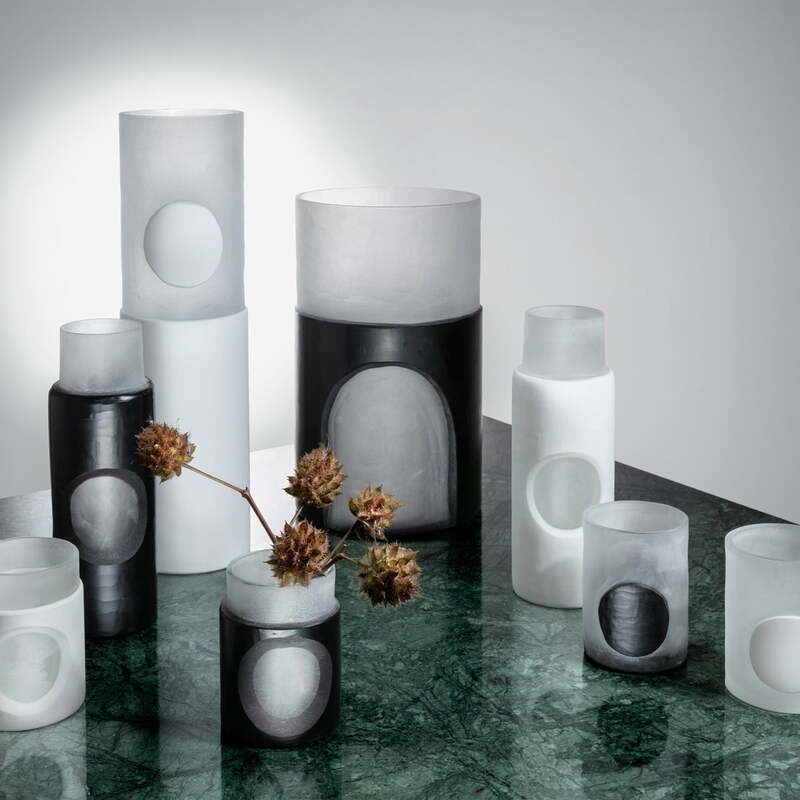 The vases are characterised by their contrasting design. Lush bouquets or individual twigs can be perfectly staged in it. Carved vase by Tom Dixon in the Ambiete view. Depending on their size, Tom Dixon's carved vases can be used to arrange large bouquets or individual twigs. Carved vase by Tom Dixon in the ambience view. 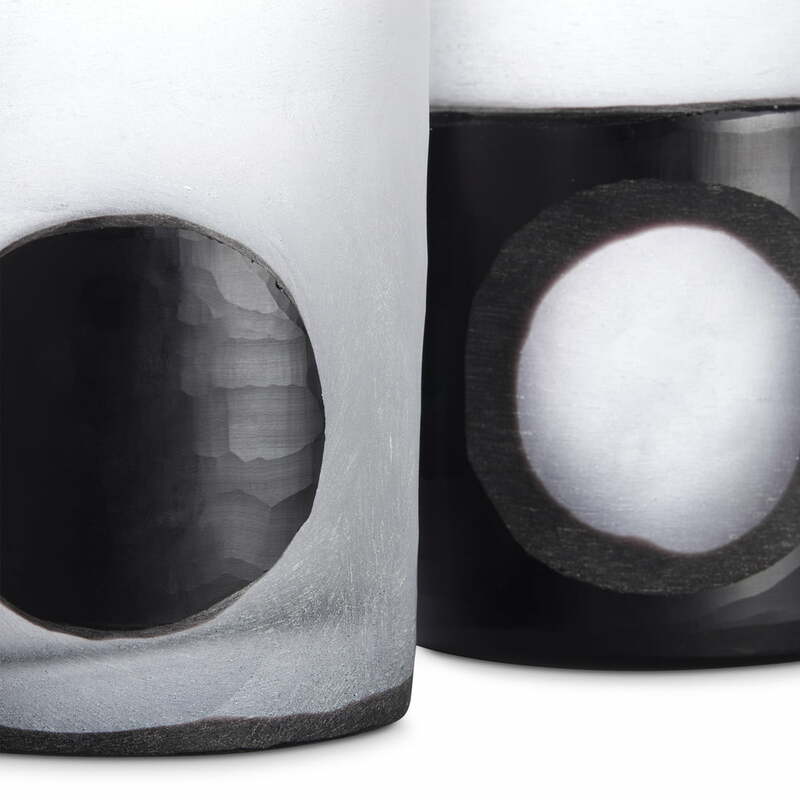 The vase is made of glass with a milky cut finish. A stone-like cover creates dimension and provides a second, also haptic level. Carved vase by Tom Dixon in detail. In the 2-piece set, the shapes complement each other perfectly, but the individual appearance also makes for an elegant eye-catcher.